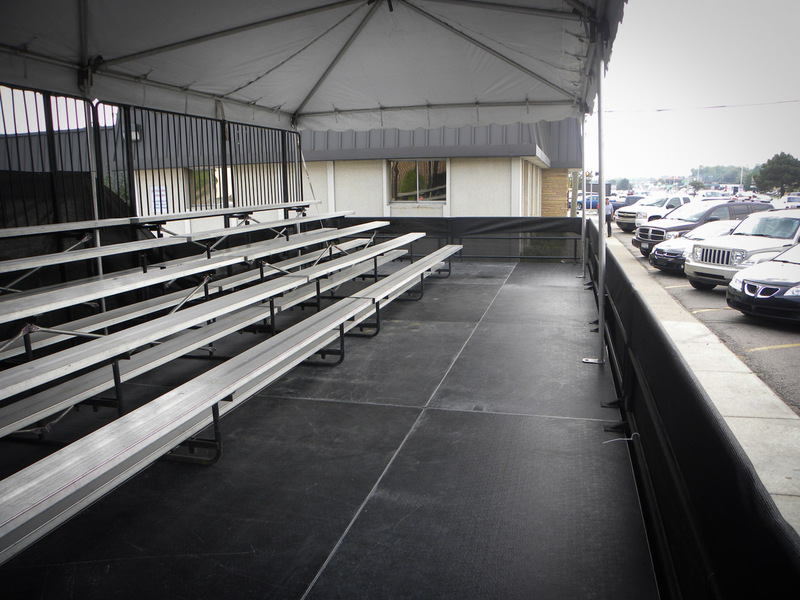 We have a variety of size configurations to fit a small crowd of 50 or a large crowd of 10,000+. 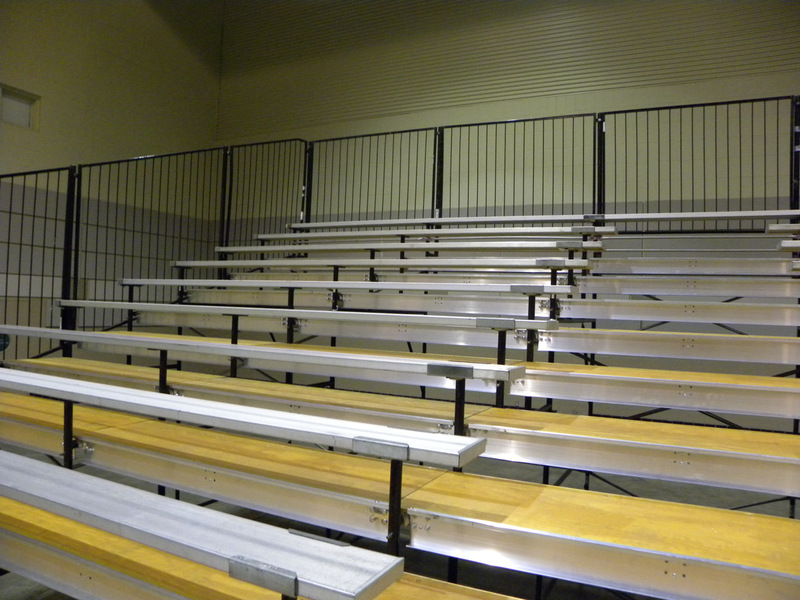 Our bleachers are designed for safety and strength. 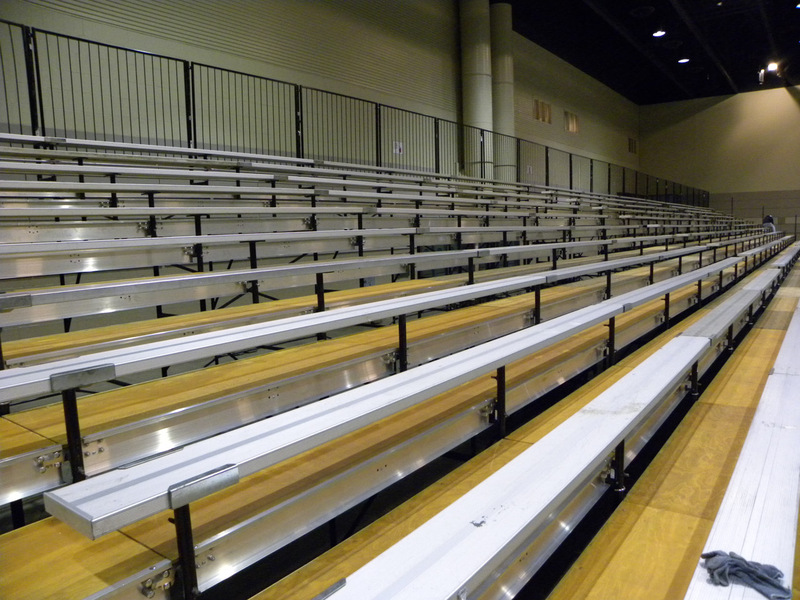 Safe on any kind of flooring, our bleachers can fulfill both indoor and outdoor needs. 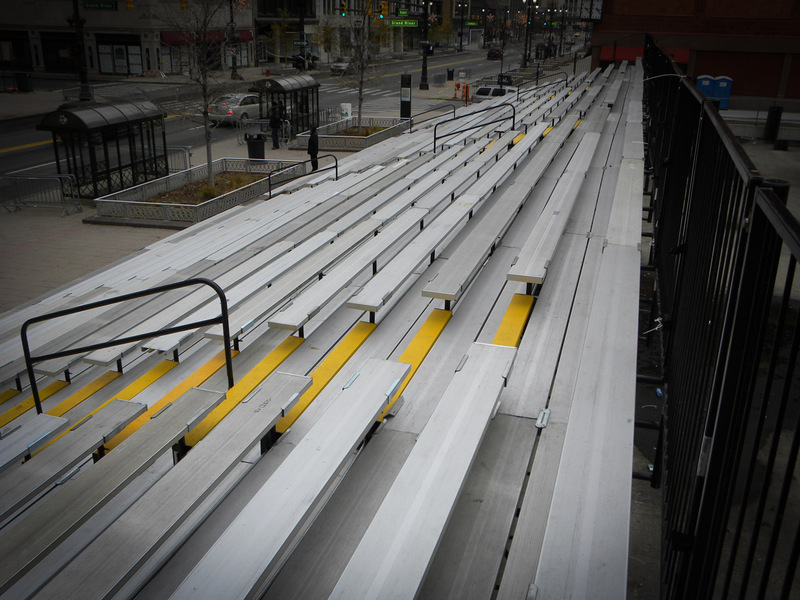 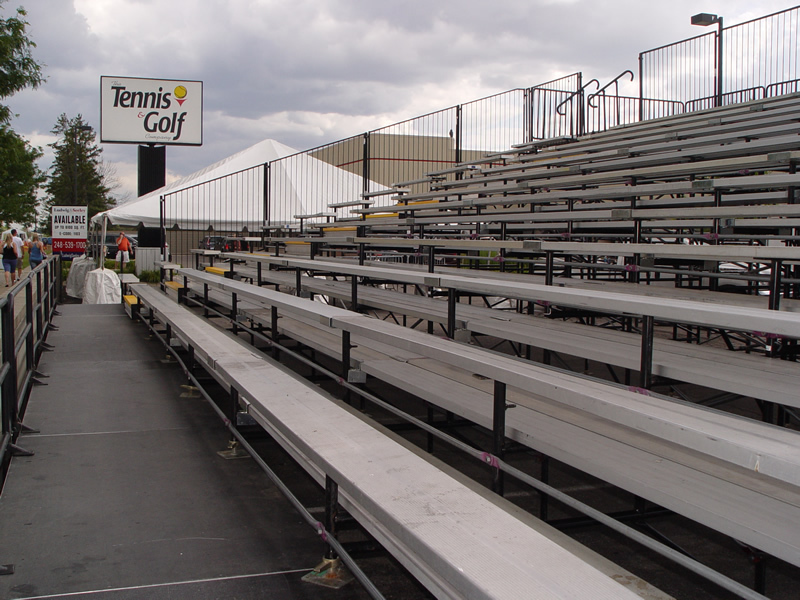 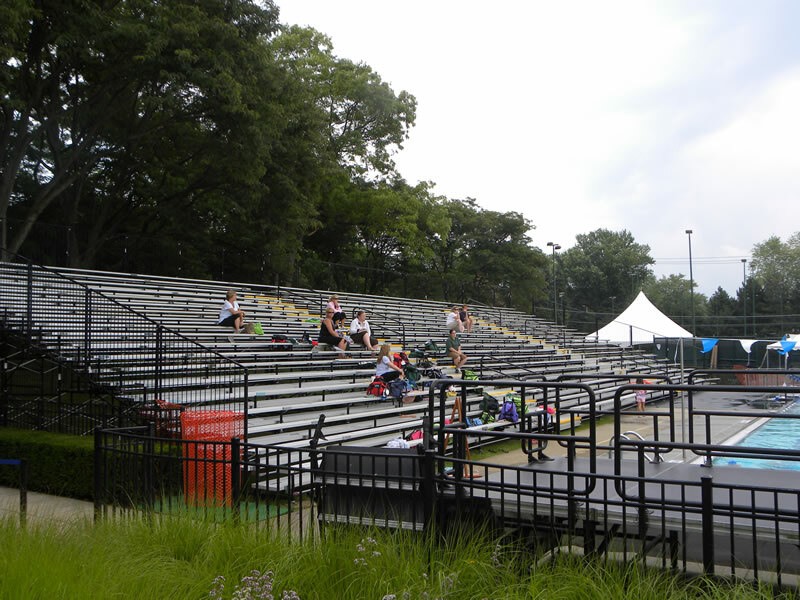 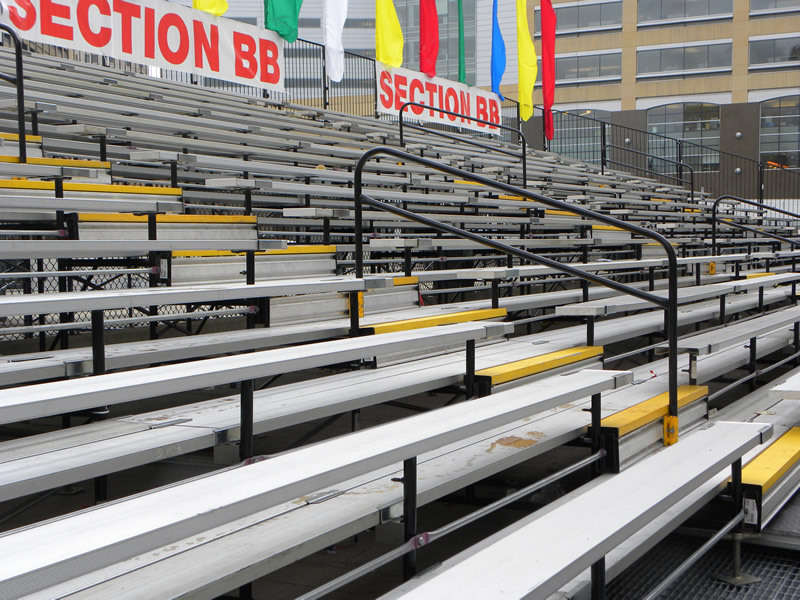 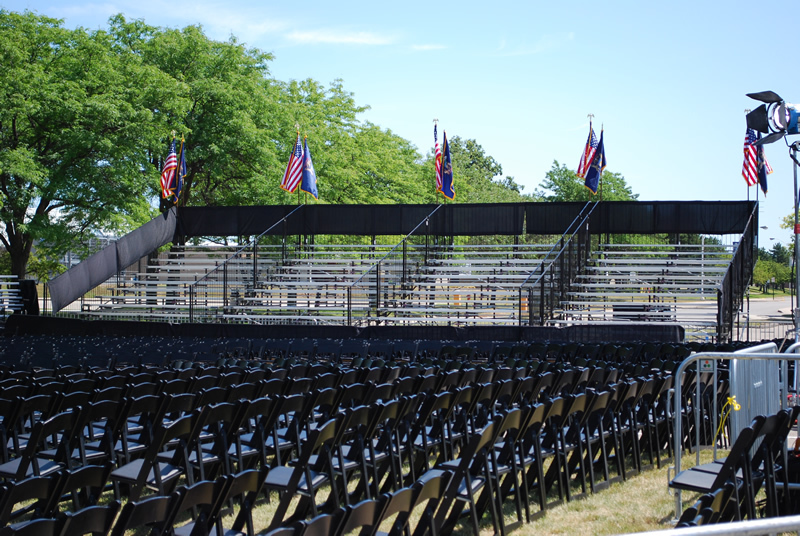 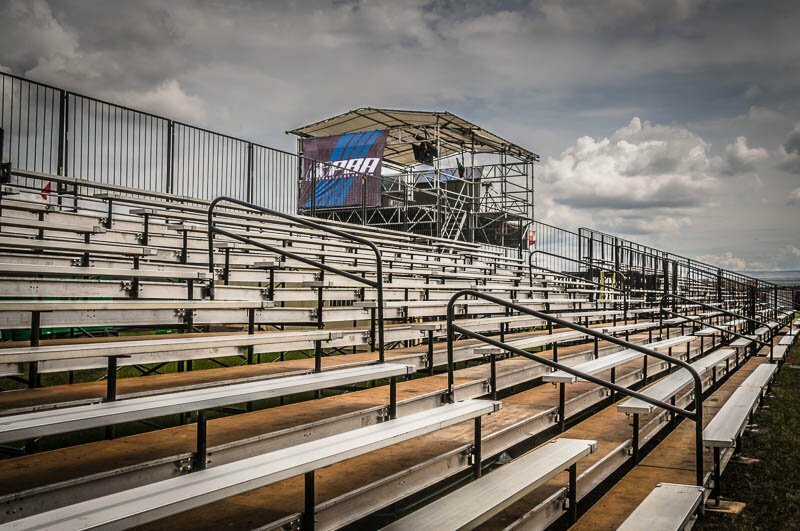 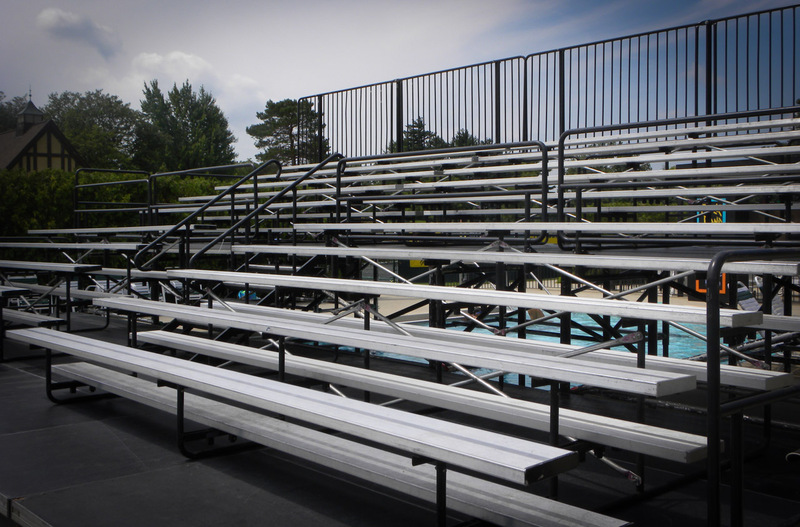 Our large-capacity bleachers can be designed to meet size requirements for width, depth, height and starting elevation. 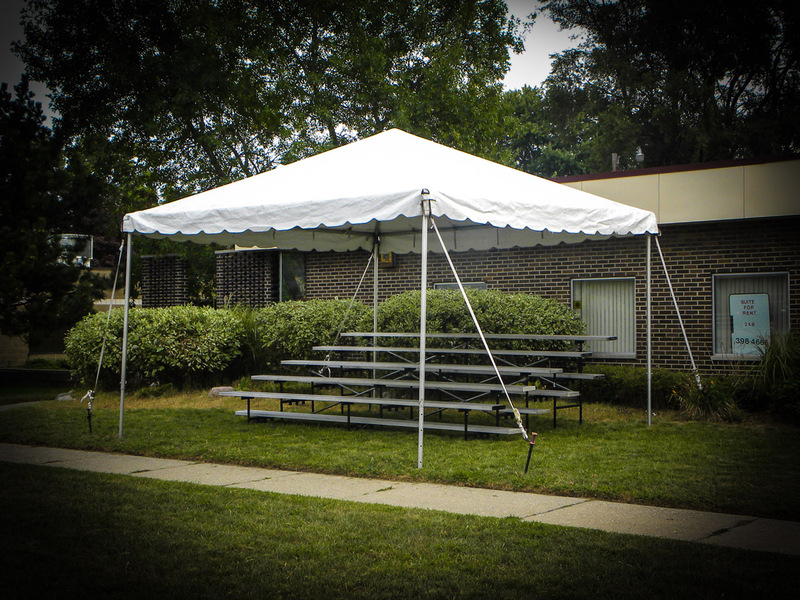 If you need a specialized solution, contact us today. 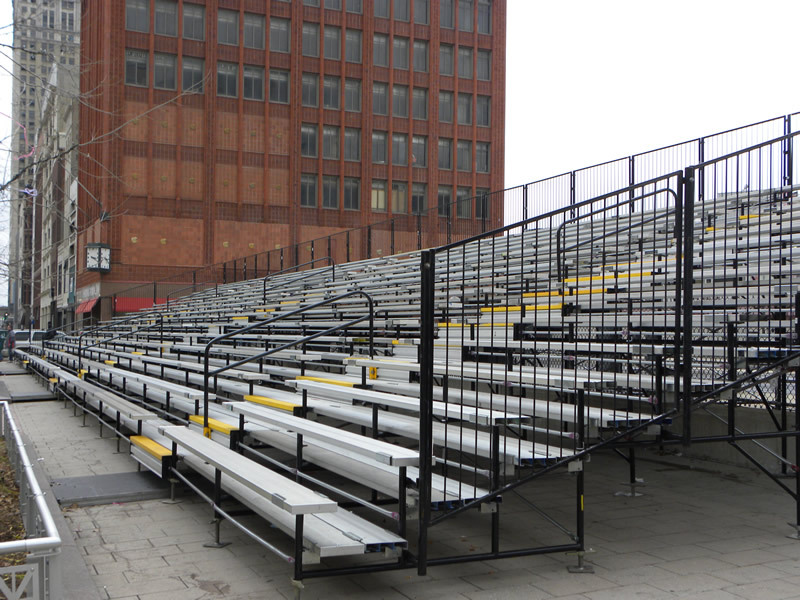 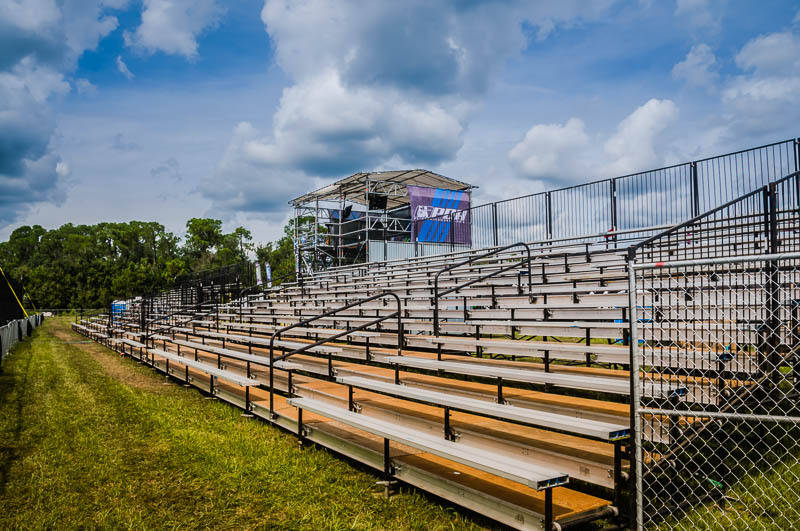 Whether it’s a marathon, a parade, a sporting event, or any other event where seating is needed, we have a complete stock of portable bleachers. 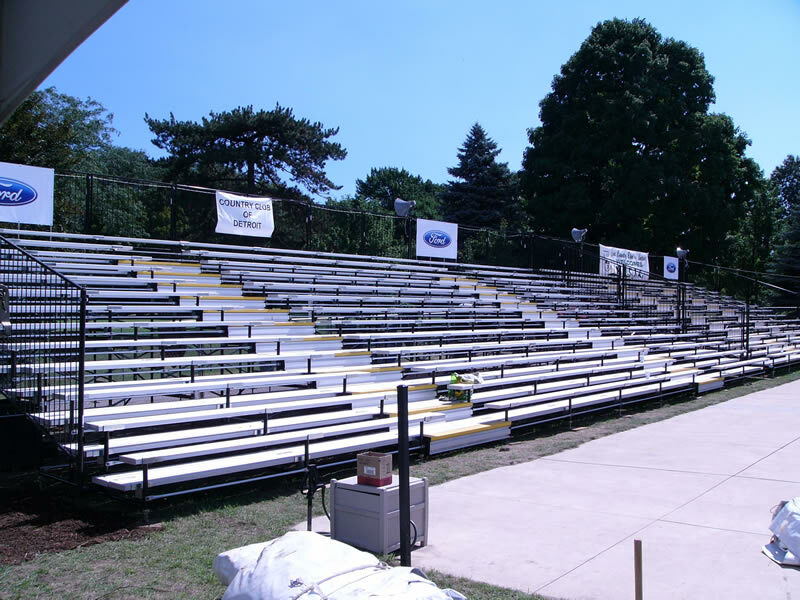 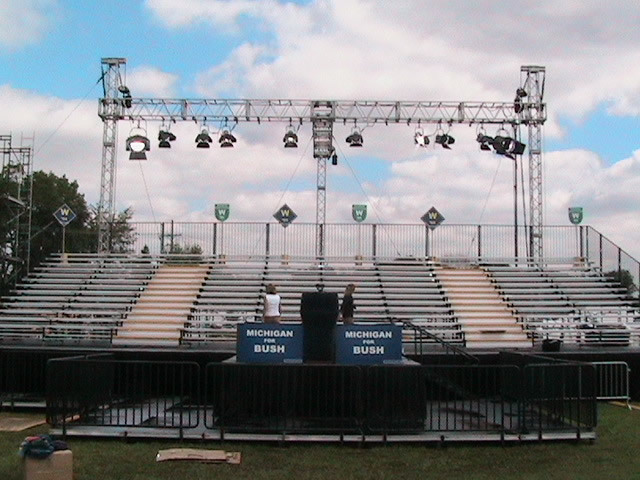 With set up and take down completed by our own experienced staff, your next bleacher rental is only an email or phone call away. 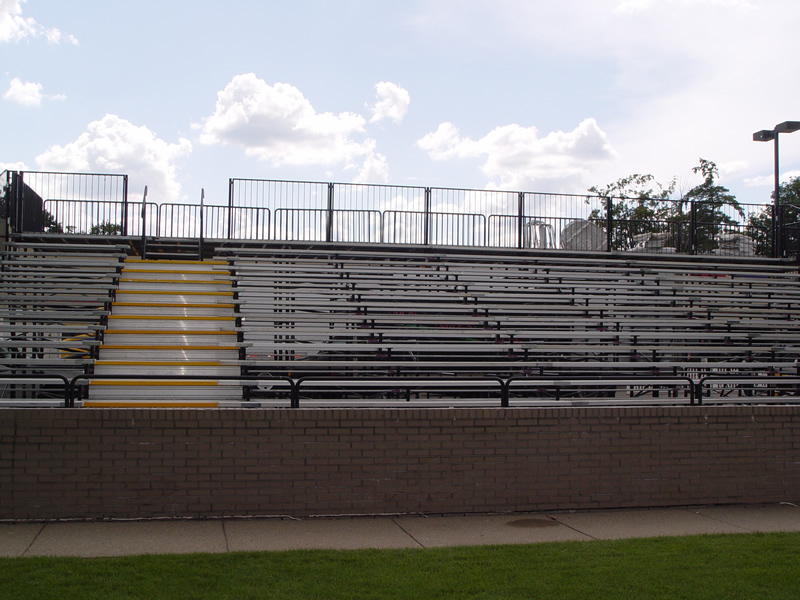 A wide range of accessories are available to enhance your bleacher configuration: steps/stairs, hand rails, guard rails, mesh skirting, and access ramps. 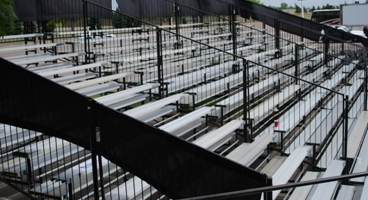 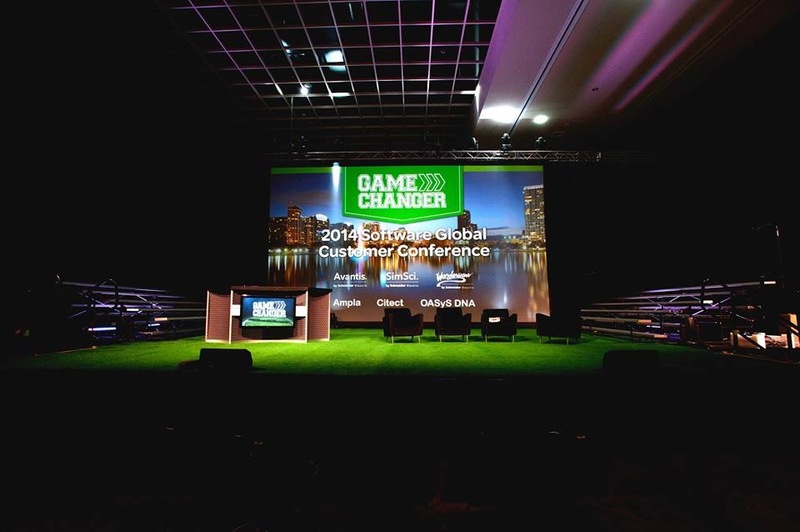 Bleacher systems can also be elevated to accomplish your event needs.